Here at Wipe Out we are delighted to announce the signing of London Guitar Trio False Heads, a band we are convinced have a very bright future. Described as propulsive and energetic, this dynamic trio already have some impressive credentials as a live act, with Iggy Pop issuing a rallying cry to the masses for people to get out and see their shows. 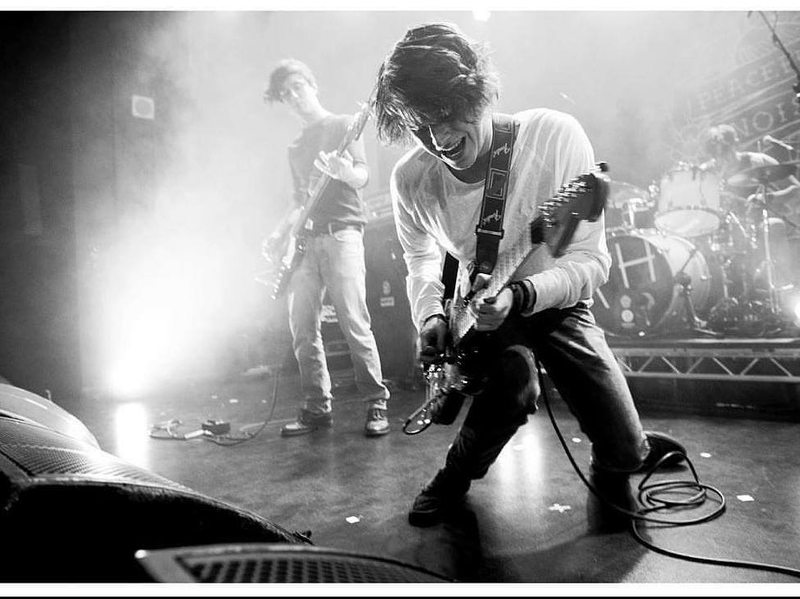 The three schoolmates have graduated from playing empty London rooms to supporting the Libertines, Josh Homme and Band Of Skulls, whilst earning acclaim from Clash Magazine, NME and the Independent. Other notable career highlights include radio support from Radio 1, BBC 6 Music (including none other than Iggy Pop) and Radio X, and playing some of the best British festivals including Isle of Wight, YNot and Reading. Presently in the studio, 2019 will see the band busier than ever with an album and more singles in the pipeline and a substantial number of gigs and festivals booked. “The future of Rock and Roll” – Danny Fields – Legendary manager of The Ramones & A&R for Iggy & The Stooges & The MC5. The buzz surrounding False Heads is building rapidly, their talent is undeniable, and we are very excited to welcome them to our roster and be working with them.